of my sweet sleep just after dawn. from her when we were young. the bliss of sleep, and tea. In this video Taha Muhammad Ali reads his poem 'Abd el-Hadi Fights a Superpower' in Arabic and then Peter Cole reads his English translation, from So What: New & Selected Poems 1971-2005. Pamela Robertson-Pearce filmed Taha with Peter Cole when he visited Aldeburgh Poetry Festival in November 2007. This film is from the DVD-book In Person: 30 Poets filmed by Pamela Robertson-Pearce, edited by Neil Astley (Bloodaxe Books, 2008), which includes four poems from So What read by Taha Muhammad Ali with Peter Cole. Taha Muhammad Ali (1931-2011) was a much celebrated Palestinian poet whose work is driven by a storyteller’s vivid imagination, disarming humour and unflinching honesty. Born in rural Galilee, Muhammad Ali was left without a home when his village was destroyed during the Arab-Israeli war of 1948. Out of this history of shared loss and survival, he created art of the first order. His poems portray experiences ranging from catastrophe to splendour, all the while preserving an essential human dignity. He was born in 1931 in the village of Saffuriyya, Galilee. At 17 he ﬂed to Lebanon with his family after the village came under heavy bombardment during the Arab-Israeli war of 1948. 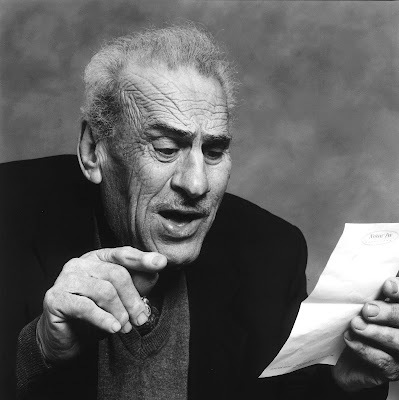 A year later they slipped back across the border and settled in Nazareth, where he lived until his death in 2011. An autodidact, he owned a souvenir shop now run by his sons near Nazareth’s Church of the Annunciation. He published several collections of poetry and one volume of short stories. 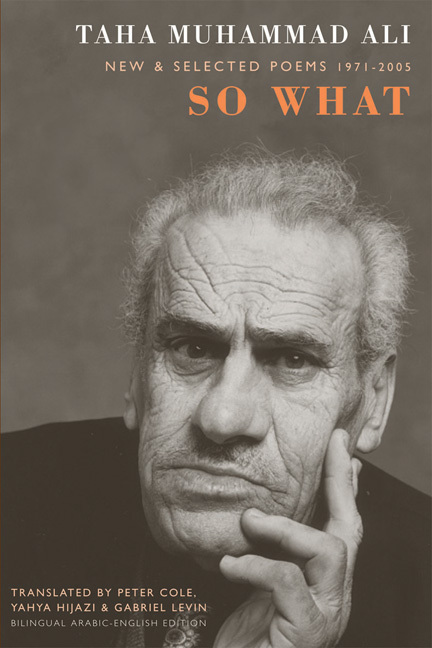 So What: New & Selected Poems 1971-2005 (Copper Canyon Press, USA, 2006; Bloodaxe Books, UK, 2007). The Bloodaxe UK edition of So What was a Poetry Book Society Recommended Translation, and was launched in November 2007 at Aldeburgh Poetry Festival. Adina Hoffman's acclaimed biography of Taha Muhammad Ali, My Happiness Bears No Relation to Happiness: A Poet’s Life in the Palestinian Century (Yale University Press, 2009), won the 2010 Jewish Quarterly Wingate Prize.